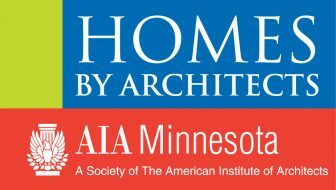 The 11th annual AIA Minnesota Homes by Architects Tour will be held Saturday, Sept. 15 and Sunday, Sept.16, 2018. This self-guided tour will showcase 18 newly-constructed and remodeled residences located throughout the Twin Cities metro area. All homes are designed by registered members of the American Institute of Architects Minnesota (AIA Minnesota). Homes are open from 10 a.m. until 5 p.m. each day. The AIA Minnesota Homes by Architects Tour features a range of project sizes, styles, techniques, budget scopes, and neighborhoods. There is no other home tour like it in the Twin Cities, as this one places emphasis on the talents of local architects and their collaborative relationships with homeowners. At each home along the tour, visitors can meet the designing architect and team, ask questions, and learn their process firsthand. Plus, they’ll get a close-up look at how an architect can transform ordinary living spaces into personalized, relevant, beautiful environments by responding creatively to each homeowner’s needs. Advance tickets may be purchased beginning in August at HomesByArchitects.org or at the AIA Minnesota office for $15. Tickets will also be available at each home on the tour during the weekend for $20 for a full tour ticket or $10 for an individual home ticket. For more information, please visit HomesByArchitects.org. Follow us on Facebook (HBA Tour) and Twitter (@AIAMN, #hbatour).